Community advocacy group ACT NOW! is calling on the government to immediately release the draft ICAC bill before it is presented in Parliament. 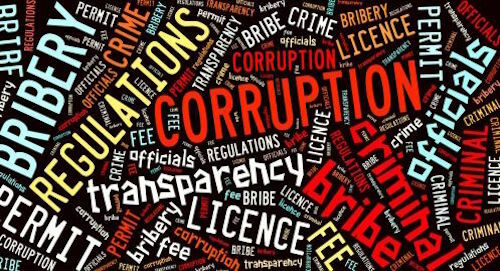 “We are encouraged by the statements from the government about its commitment to establish an Independent Commission Against Corruption” says Campaign Coordinator, Eddie Tanago. “But it is important the crucial legislation is introduced with openness and transparency”. The newly sworn in Minister for Forests, Douglas Tomuriesa, the new Minister for Lands, Justin Tkatchenko, and new Police Minister, Jelta Wong, are being called on to confirm the cancellation of all SABL leases. “We congratulate the new Minister’s on their appointments, but we are urging them to immediately address the SABL issue which has been plaguing our country for far too long”, says Eddie Tanago, Campaign Coordinator for the community advocacy group ACT NOW! The government still has plenty of work to do to redress the injustice of the SABL land grab and illegal logging, according to community advocacy group ACT NOW! ACT NOW! says it is cautiously optimistic the government is moving in the right direction by cancelling the SABL leases, but this is only a first step. “We welcome statements from the Minister for Lands that the government has cancelled all SABL leases; if it is true, it is a significant move”, says Program Manager Effrey Dademo. Someone must be held accountable for the failure to cancel unlawful SABL leases, says community advocacy group, ACT NOW! “The Prime Minister has publicly blamed the Department of Lands for failing to cancel the leases, but unless people are made accountable, nothing is going to change” says Program Manager, Effrey Dademo. The NEC decision cancelling the leases was made in June 2014, but since then not one lease has been revoked by the Department of Lands. Lands Minister Benny Allen blocking government promises to cancel SABL leases? Community advocay group, ACT NOW! says it appears Lands Minister Benny Allen is blocking the implementation of government decisions to end the SABL land grab and return stolen land to its customary owners. Since 2013, Prime Minister Peter O’Neill has repeatedly promised the unlawful SABL leases will be cancelled, and in June 2014 the National Executive Council endorsed the recommendation from the Commission of Inquiry that the leases be revoked. But Minister Benny Allen and the Department of Lands are still stalling on any action and have failed to cancel any leases. 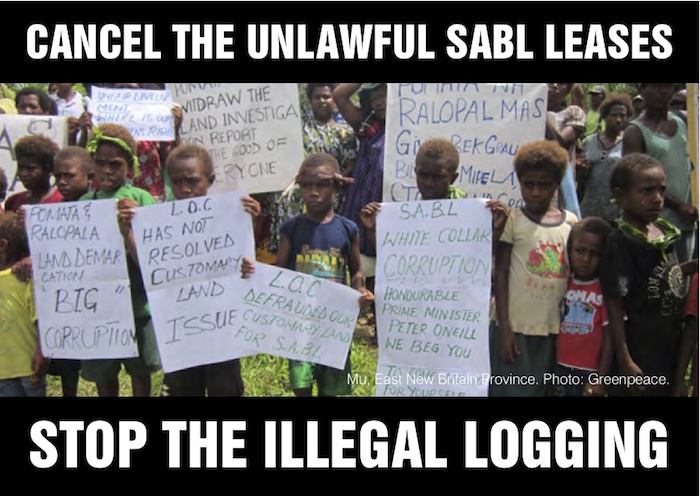 As the Prime Minister continues to delay the implementation of promises to cancel the unlawful SABL leases, a new international report has highlighted the plight of SABL affected communities across Papua New Guinea. ACT NOW! says converting the SABL leases would not only repeat the injustice and human rights abuses inherent in the original SABL leases it will compound the problem by giving control over vast tracts of land to a small number of people overseen by a corrupt and dysfunctional Department of Lands. A 10,000 signature petition is today being presented to the government calling for action on the SABL land grab. The petition is being presented by Paul Pavol, who was last year awarded the international Alexander Soros Foundation Award, in recognition of his communities efforts to oppose four unlawful SABL leases over their land. 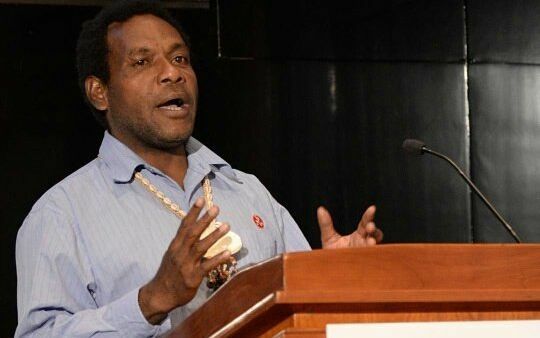 Mr. Paul Pavol, from the Pomio District of East New Britain, was awarded the Alexander Soros Foundation Award for Environmental and Human Rights Activism at a ceremony in New York last Thursday.